When parties settle a claim or lawsuit, the plaintiff usually signs a “release,” which sets out -- often in excruciating detail -- the terms of the settlement. A release typically defines the “releasors” (the parties who are accepting some value in exchange for dropping their claim) and “releasees” (the parties who are being released from liability due to the settlement), and the specific claims being released. A release will include many more provisions, dealing with routine issues such as Medicare liens and non-routine issues that may arise under the facts of a particular claim. Additionally, since individual states have developed their own bodies of law regarding releases, the requirements and rules of interpretation of releases can vary significantly throughout the U.S. Since aviation cases may involve multiple parties, insurance policies, serious injuries or deaths, probate issues, and other intricacies, aviation releases can be particularly thorny, and properly drafting one in an unusual case may require a substantial amount of research, investigation, and negotiation. In the vast majority of cases, a case is settled, the release is signed, the money paid, and the parties go their separate ways without giving the release another thought. Sometimes, though, as illustrated in the Florida Court of Appeals case Gogoleva v. Soffer, a release can actually be the cause of further protracted litigation. Since the appeal was from the trial court’s dismissal on the pleadings, the court of appeals opinion recounted only the plaintiff’s version of events. This case stems from a November 22, 2012 crash of an Aerospatiale Twin Star helicopter in the Bahamas. Five people were aboard: (1) the plaintiff’s husband, who died from his injuries; (2) David Pearce, a pilot who was qualified to fly the helicopter; (3) Jeffrey Soffer, a pilot who was not qualified to fly the helicopter; (4) Paula Riordan; and (5) Daniel Riordan. News reports state that Soffer is a successful real estate developer once linked to Elle McPherson, though the court opted not to delve into any of the more salacious details surrounding the parties. The helicopter had dual controls. Pearce sat in the pilot’s seat, and Soffer sat in the co-pilot’s seat. Pearce claimed Soffer was flying the helicopter at the time of the crash, which Soffer denied. An executive from Soffer’s company convinced the plaintiff to retain the same attorney as Soffer and the Riordans. The attorney did not advise the plaintiff of the conflicts of interest inherent in representing the group. The plaintiff also alleged the attorney said there was no evidence that anyone other than Pearce was flying the helicopter, though the attorney actually had information to the contrary. The helicopter was covered by a $2 million insurance policy. The insurer agreed to settle for policy limits prior to suit, and Soffer and the Riordans agreed to waive their right to recover any insurance proceeds. The plaintiff therefore effectively settled for the entire amount of the policy. The attorney drafted the release and advised the plaintiff to sign it without delay, which she did. The court suggested that the urgency was because the insurer might deny coverage if it learned that an unqualified pilot had been permitted to fly the helicopter. 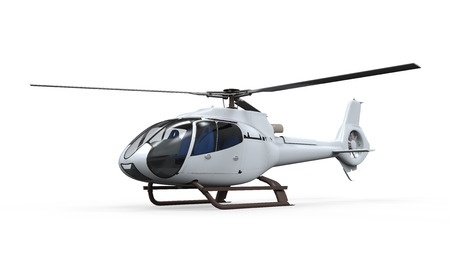 The court also identified at least one unusual feature of the release: the releasors (plaintiff, Soffer, and the Riordans) released not only all claims they had against the helicopter-owning defendants, they also released all claims they had against each other. The insurance company had not required that the releasors release each other as a condition of settlement. The plaintiff came to learn of the attorney’s conflict and of information suggesting Soffer was actually piloting the helicopter at the time of the crash. She sued Soffer and the Riordans, alleging that they lied about who was flying the helicopter, misrepresented the attorney’s role and objectives in settling the case and preparing the release, and misrepresented their real reasons for relinquishing any claim on the insurance proceeds. She sought monetary damages as well as rescission of the release as it pertained to Soffer and the Riordans. She did not name the insurance company as a defendant, which the court surmised was an attempt to retain the benefits of the $2 million settlement. The court looked closely at the release to determine whether the plaintiff’s complaint could survive a motion to dismiss. First, the court found ambiguity as to whether Soffer was a “releasee” such that the plaintiff’s claim would be barred. Soffer was a “releasee” insofar as claims against him were being released, but he was not a “releasee” as the term was defined in the document. This confusion in the release, coupled with the plaintiff’s conflict of interest and conspiracy allegations, created a question of fact that could not be decided at the early stages of a lawsuit. The court also decided that the release, which covered claims resulting from the accident, did not apply to the defendants’ alleged post-accident fraudulent misrepresentations. In sum, despite the release, the plaintiff could further pursue her lawsuit. There is one further wrinkle in this opinion notable for insurers and others who might frequently be releasees. The plaintiff’s rescission claim sought to undo the release. The court held that the plaintiff could not do that without also naming the insurer as a defendant, because rescission requires that the plaintiff place the other party in the same position held prior to the release, and because the insurer had to be involved to protect its interests. Thus, although the insurer settled this claim (with presumed finality) long before suit, it may become bogged down in years of litigation anyway. The insurer in this case is not accused of any wrongdoing, and if the release is set aside, it would be due to the machinations of the individuals, not the insurer. Nevertheless, there is a lesson here. It is tempting for insurers and other companies that defend a lot of claims -- as well as their counsel -- to forego much analysis in preparing a release in favor of stuffing it with well-worn boilerplate. This is a risky proposition, especially when settling complex and high-value aviation claims. Though a 100% airtight and bulletproof release may not be realistic, it will always be worth the effort to strive for as perfect (and permanent) a release as possible.